There is a lot of press given to Sufism these days, focusing on its moderate and inclusive political affiliations and promoting it as a paradigm of ecumenical tolerance and spiritual transcendence. One example of this is the worldwide popularity of Rumi. He was cited as the best-selling poet in the U.S. in 2014 (BBC – http://www.bbc.com/culture/story/20140414-americas-best-selling-poet). 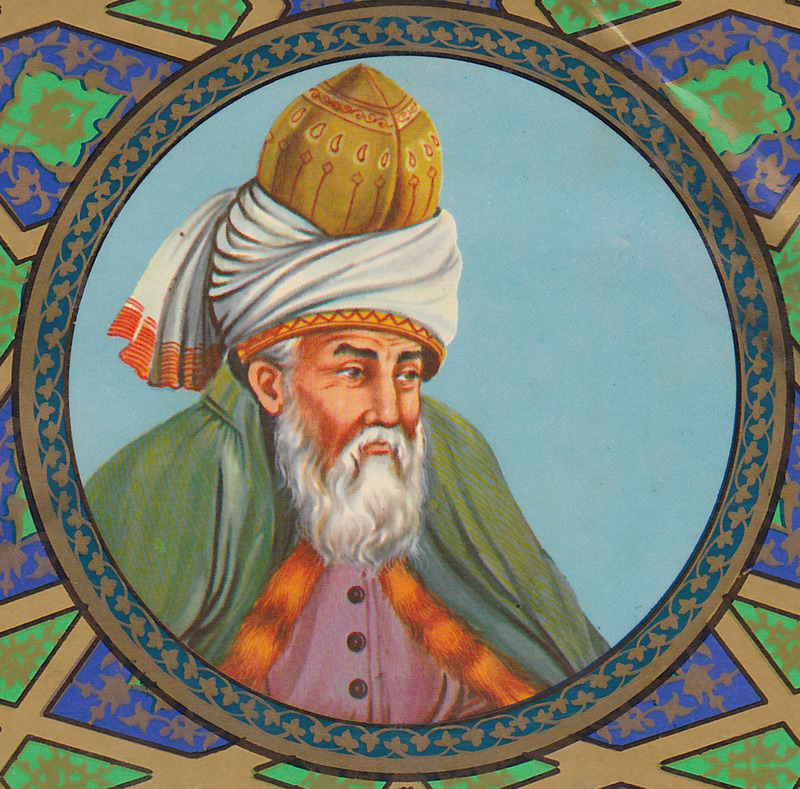 It is largely due to Rumi, in fact, that Sufism provides such potent imagery and ideas and has captured the Western popular imagination. Rumi depicted on the back of the 5000 lira bill, Turkey. His mausoleum is in the background. Sufism consists of much more than the order founded by Rumi, of course, and its practices are as diverse as the regions in which it thrives. 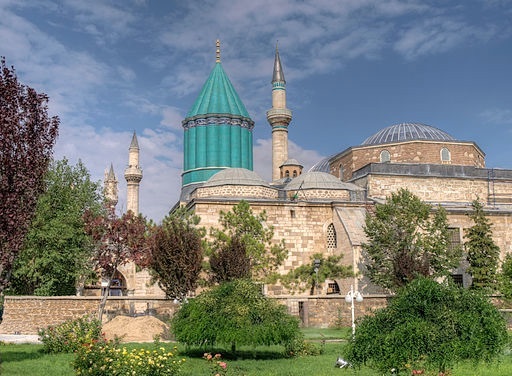 From West and North Africa, to Turkey, Iran, Afghanistan, and Central Asia, Sufism has many interfaces with the practices of average people and mystics alike. These include the maintenance and visitation to shrines and tombs of deceased saints, Islamic endowments, or waqfs, buildings intended for Sufi practice, and the passing on of the traditions. Many daily expressions have also derived from Sufism, which has contributed to sayings, references, concepts in literature and popular culture. Mysticism is a thread that runs through all three of the Abrahamic religions. Sunni and Shi’i individuals and communities have adopted mystical paths of Sufism throughout the history of Islam. Sufism, or in Arabic, tasawwuf, is an umbrella term which refers to the inner mystical dimension of Islam. The same linguistic root also generates from the word for wool in Arabic; hence, a Sufi is one who wears a wool, or suf, garment. This refers to the practice of some ascetic mystics who would wear a simple wool garment. The word in Persian for those who wear wool is “Pashmina Push”, a common reference in Sufi poetry. Sufism has a highly diverse set of traditions, with adherents from many different walks of life and with different levels of involvement. There is a breath of God in each of us human beings. Neither Christian, nor Jew, nor Hindu, nor Buddhist, nor Sufi, nor Zen. I do not exist, am not an entity in this world or the next. I did not descend from Adam and Eve, or any origins story. My place is placeless, my trace is traceless. Neither body, nor soul. I belong to the beloved, have seen the two worlds as one. And it is that one I call to, and know first, last. . .inner, outer. Only that breath, breathing the human being. Maulana Jallaludin Balkhi Rumi, or simply Rumi, as he is known in the West, was a pious Muslim, a mystic, a scholar of Shar’ia law and a famous poet who lived in the 13th century. He was born in Balkh, in what is now Afghanistan, but his family moved to Konya when he was a boy, in what is now Turkey. Muslim mystics have made substantial contributions to the world’s mystical literature. This is especially true in regard to Rumi, but also in regard to Al-Ghazali in the 12th Century, and Hafiz in the 14th. 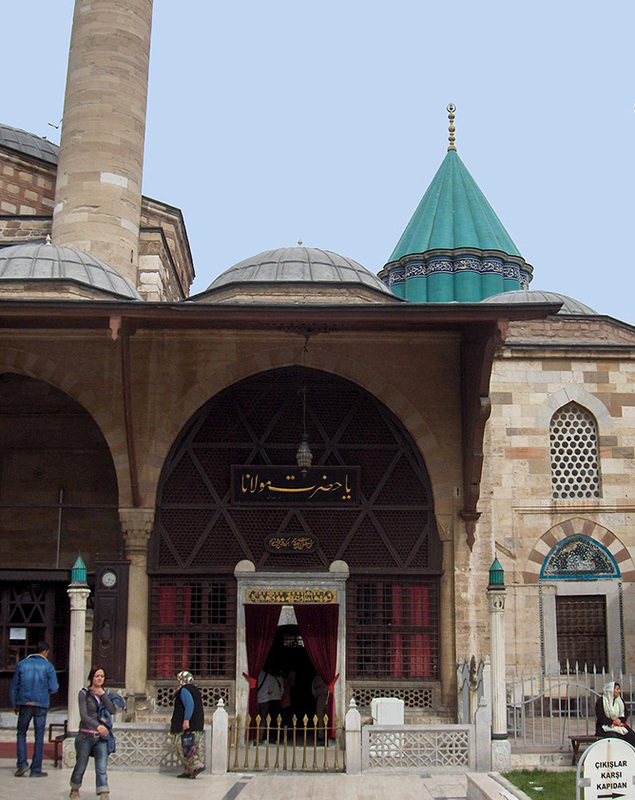 Beyond the image of inclusivity, there is a counter-cultural aspect of Sufism, as well. Sufi mystics often lived life on the margins of society and went against what they regarded as petty cultural norms. Many of them were ascetics who wore austere clothing, such as the aforementioned rough wool garments. It is not correct to define Sufism as simply a counter-cultural phenomenon, however. It has always been and continues to be an integral part of mainstream Islam. According to Islamic theologians, the religion is intended to be practiced, both in regard to inner life, and in accordance with outward prescriptions for living life in compliance with God’s will. Sufism’s mainstream aspect is also confirmed by the fact that it is still considered to be a path to spiritual enlightenment by many in the Muslim world, and that it has been responsible for much of the conversion in the Muslim world. It has become intertwined with local traditions and folk practices of Islam, which often reflect certain pre-Islamic traditions of the area. Its inclusive nature, and its focus on the Qur’an as the primary source for religious interpretation, creates a more flexible and open stance toward other religious frameworks which may be seen as having emerged from the same source, the one God, or Allah. Next: Who are the Salafis/Wahabis?